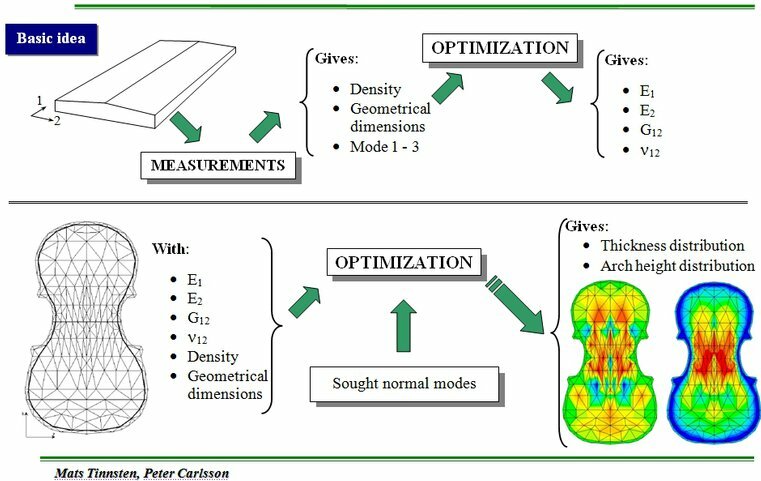 In the present work optimization is used to give some suggestions on how to compensate, trough changes in thickness distribution and rise of the arch, for variations in the material parameters. 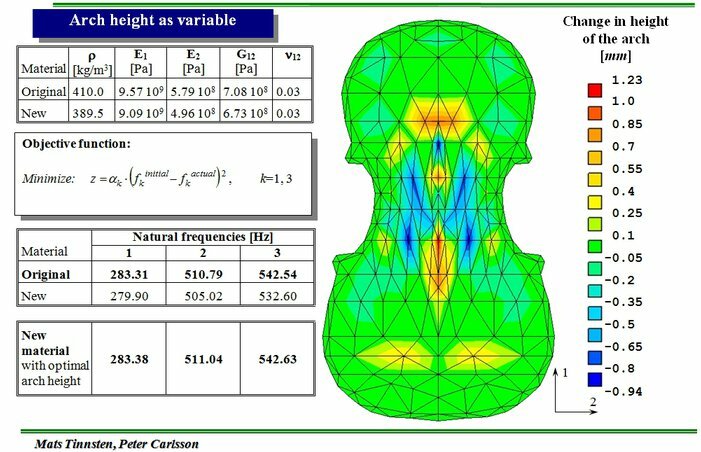 The optimization is performed on a violin top, discretizised according to the figure. In the FE-analyses an orthotropic shell element is used and the nodes along the bolded line are simply supported, i.e. prevented to move perpendicular to the plane but free in all other directions. Optimization was performed for two different cases, one with the thickness distribution as variable and one with the rise of the arch on the top as variable. The initial top is characterized by an initial thickness distribution, an initial rise of the arch on the top, and an initial set of material parameters. This state is referred to as initial. 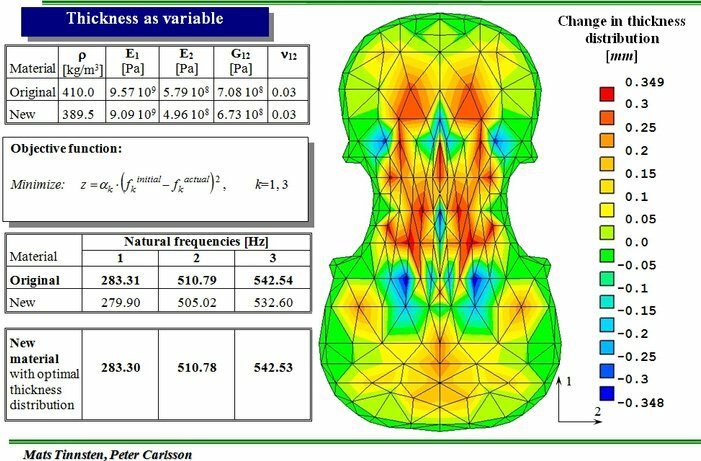 In the optimization the first three eigenmodes where studied. For the purpose of optimization the initial material parameter set is replaced with a new set and the objective is to recover the initial values for the first three eigefrequencies by, in case 1 altering the thickness distribution, and in case 2 altering the rise of the arch throughout the top.